I’m a big guy. It’s OK, I’ve always been a big guy, but lately, I’ve added a few more pounds than I would like, so I decided I needed to lose some of it. Turns out though having a sedentary job and a little baby means you can’t always get to the gym, go for long walks, or run around the block, so I needed to find a different way. 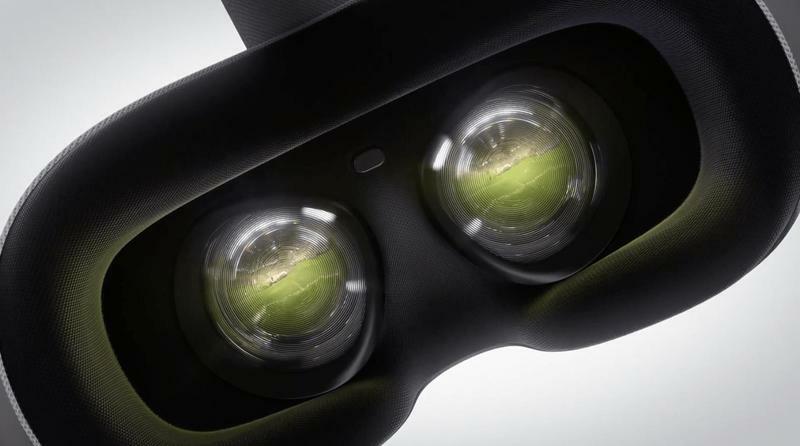 VR proved to be part of the solution. Turns out you can lose a fair amount of weight using certain VR games if you put your mind to it. Warning: This isn’t going to work if you don’t change your lifestyle as well. I lost weight sure, but if you want to keep it off and be healthy, not just thin, you will need to change your diet as well. I realized right from the start that I needed to set myself some rules. I decided to try it for two weeks with no other lifestyle changes, to see what difference VR could do on its own. I decided to work it like a gym schedule, 3 days of aerobic VR games for one hour a day, have a rest day, then two days, and a rest day. It turns out, an hour in VR is a little too short so I upped it to an hour and a half. It feels like a sweet spot. It seems to be working too. Over the course of the 14 days, I lost at least 12 pounds and gained some definition in my neck and shoulders that wasn’t there before. In theory, I could have lost more than 12 pounds, after all when you lose weight you also gain muscle but honestly, 12 pounds is more than enough weight loss for two weeks. Doctors recommend not losing too much weight a week as it can cause other issues. What kind of games are best for aerobic VR? 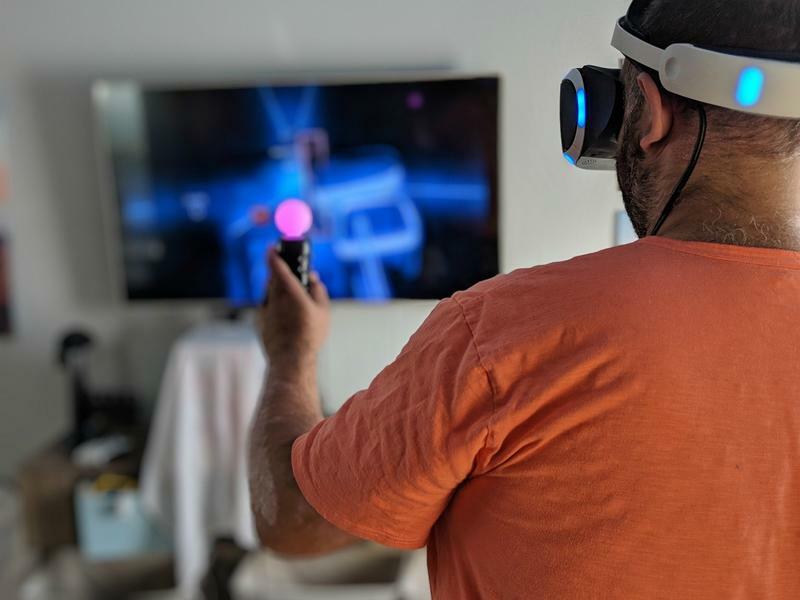 There a lot of games out there in the world of VR but not all of them have the relentlessness that is required to get your heart rate pumping. To have any real impact a game needs you to get your heart rate up above 100 beats per minute for at least 20 minutes at a time. You will need to keep the momentum going when you are changing levels, I spent most of that time running on the spot to keep the BPM going strong. 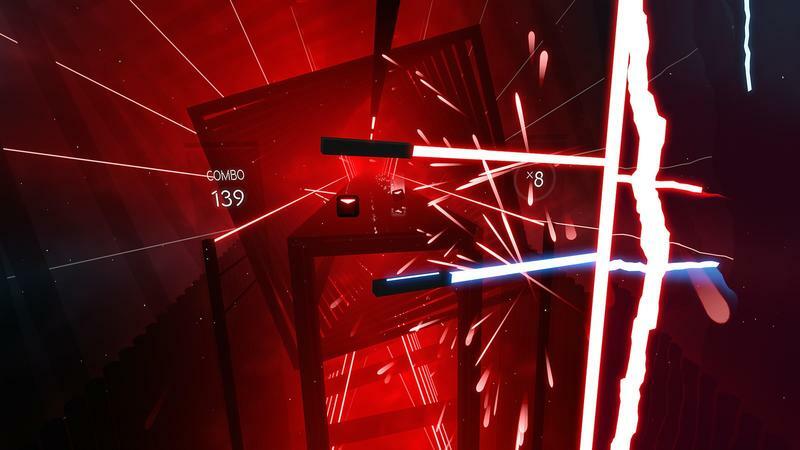 Beat Saber is the amazing mix of banging tunes, swinging swords, and neon lights. If you pick the right levels with the right modifiers — I like to use the “minimum swing distance” modifier to really get a good work out — you can really feel the burn. In one workout on Beat Saber, I managed to swing my arms over five miles, and I felt it the next day! 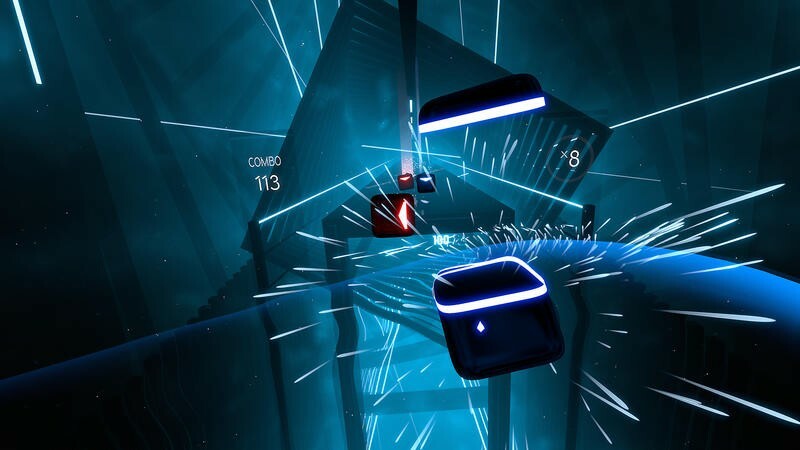 The sweat pours off you when you play Beat Saber in this frantic way, and I always try to keep my feet moving in time with the music to increase my workout. 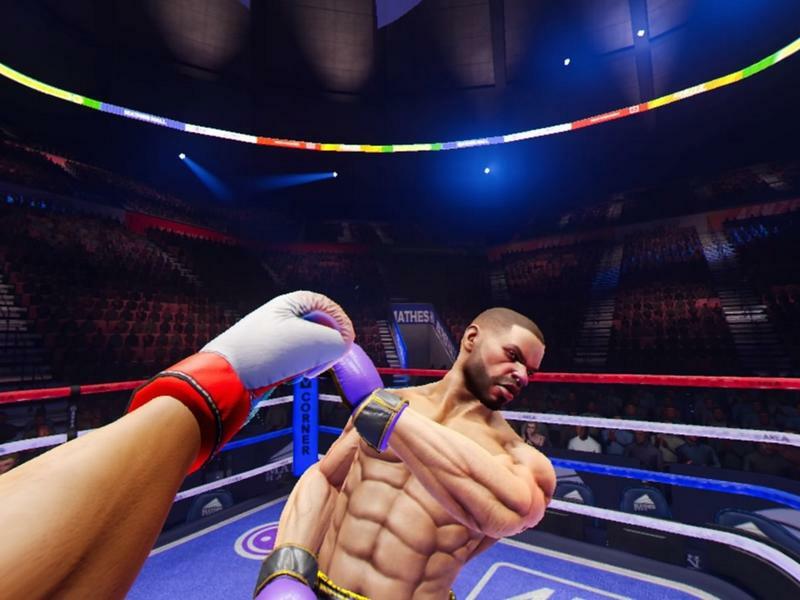 Creed: Rise to Glory is one of the best boxing games for VR that we have ever seen. Every match feels like a real workout as you dodge and move away from your opponent. You have to think about your movement too, you can’t just go in swinging or your movements become out of sync with what you are seeing. Focused aggression is the key to Creed and with that comes a lot of physical exertion. I love Sparc. When it first released I played it almost every day and I still like to open the game up every now and then to see if I can a match or two in. 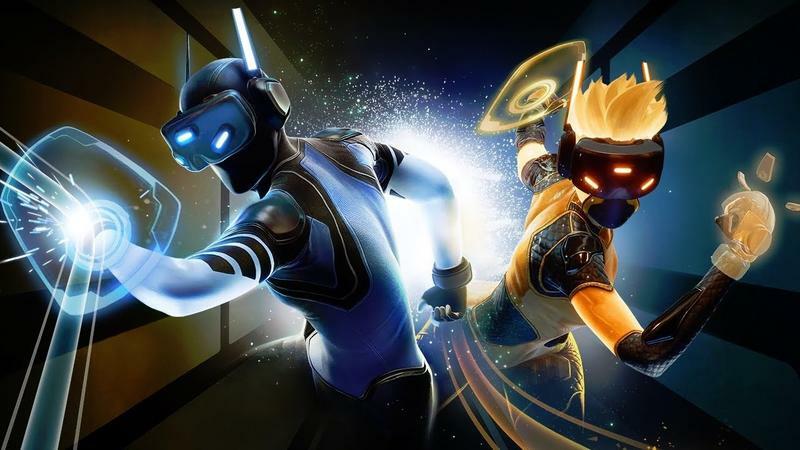 Sparc is a little mix of dodgeball and the Tron disc game. It’s very energetic, you have to dodge the balls coming at you while throwing your ball in various different ways to score points. The average game lasts about 15 minutes so you need to jump on new games very quickly if you want to keep your aerobic pace going. Unfortunately, Sparc isn’t played as much as it was so you may struggle to find matches and they aren’t any bots. There are, however, a lot of fun challenges you can do that works really well. I’ve really enjoyed using VR to help me lose weight. It’s an ongoing process, and I have had to make other lifestyle choices too to make sure I’m staying healthy as I lose weight. If you are serious, and you stick to it as a daily schedule, you should be able to drop a significant amount of weight from your living room.